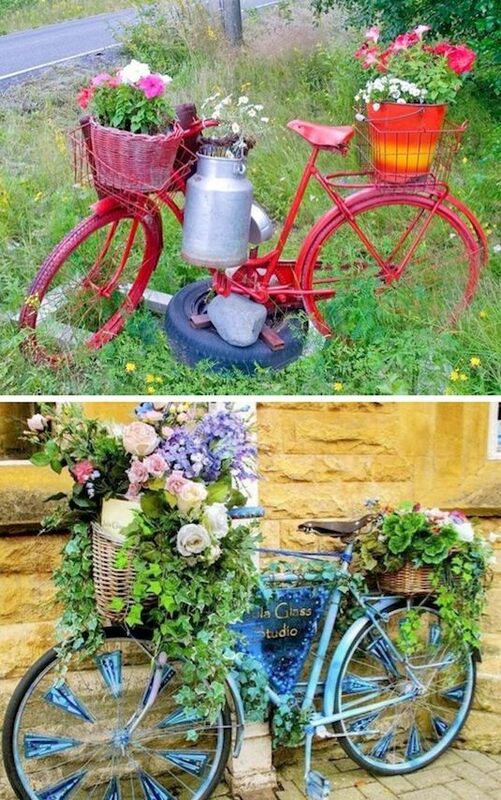 A vintage bike is a whimsical way to show off your potted plants. Leave it as is, or spray paint it to match your garden’s theme. You can’t get much smaller than this! Succulents are perfect because they’re so hardy and you can just use a small clipping. Attach a magnet and place them on your fridge! 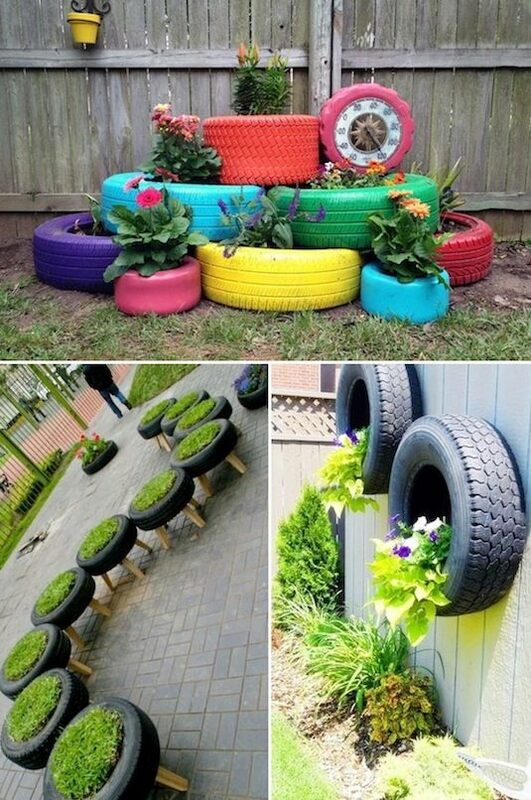 I love the new tire trend; they’re being upcycled in so many unique ways! With a little bit of creativity, you can incorporate them into your yard, too.